The view from the Akto tent on Day 2! As plans went, this one was a good one. 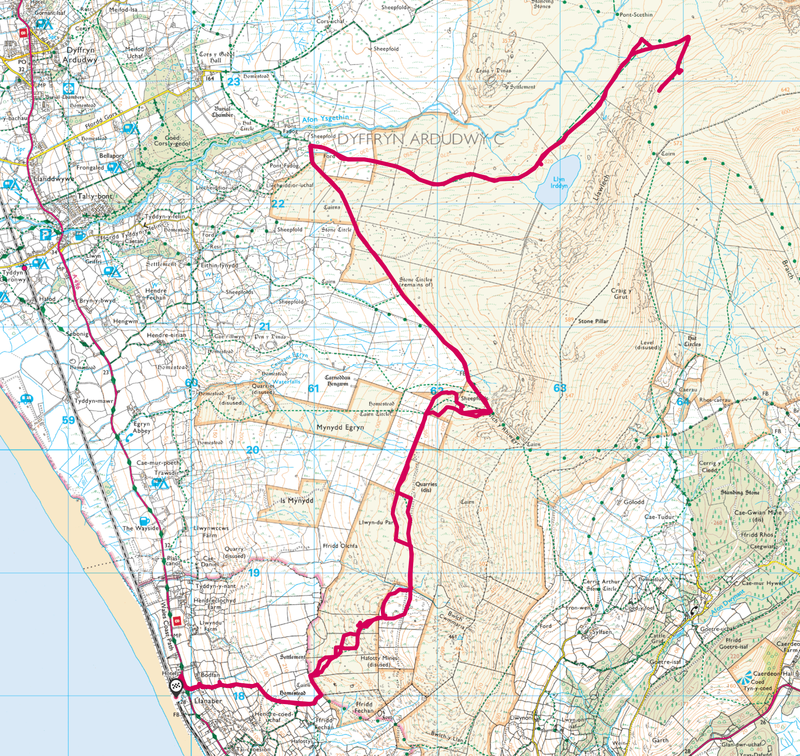 I was pleased with the route and the level of fitness that I had attained. I had also thought that I was pleased with my kit too – in all, everything was looking very good indeed – and that included the British weather! The kit all packed and ready to go! Total weight is 15 kg. As usual, I was getting my pre-walk excitement jitters. But despite this, I turned in for a very early night as I needed to be at the train station for 5:30 in the morning! Alas, when it came to the crunch, I picked the wrong pair of boots. I went with the Arc’teryx ones despite my misgivings. The damage had already been done after just 12 km. But here are the feet after 22 km…. No boot that I have ever used has so comprehensively shredded my feet in quite so short a distance. The terrain wasn’t even that bad on Day 1, yet the boots put me in the unenviable position of having to make a safety call with regard to entering further into the wilderness. I wondered why the boots were so bad. After feeling around the heal region it became apparent that apart from the sole, there was zero padding on all three sides. The sides and rear are made of a rather solid rubber like material that rubbed at the back of my heals every-time I ascended a hill. On reaching home I immediately compared them to my Solomans and my Scarpas. The comparisons proved to be highly enlightening. 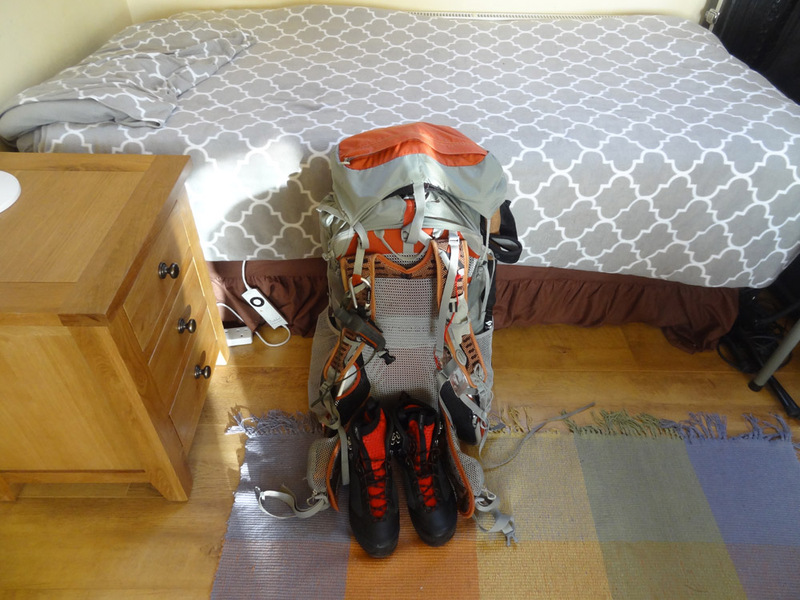 It became exceedingly obvious that there is a design flaw with the Arc’teryx Bora 2s – both of the other pairs exhibited a lot of cushioned ankle support in these areas, something woefully missing from the Arc’teryx Bora 2s. In retrospect with the benefit of hindsight I should have acted on my gut feeling about the boots. At the time, I had even commented to my work colleagues that I wasn’t sure about them. At least, next time, I will take more notice of what my gut is telling me. The damage to my heals are so severe, that even in the comfort of my flat I find it hard to go from a seated position to the standing – mainly due to the shooting pain as the scar tissue tries to stretch to accommodate my new posture. When my feet heal again, I fully intend to redo this walk, as I have missed out on what promised to be many exciting sights and sounds! Stay tuned for the detailed daily reports over the next few weeks. 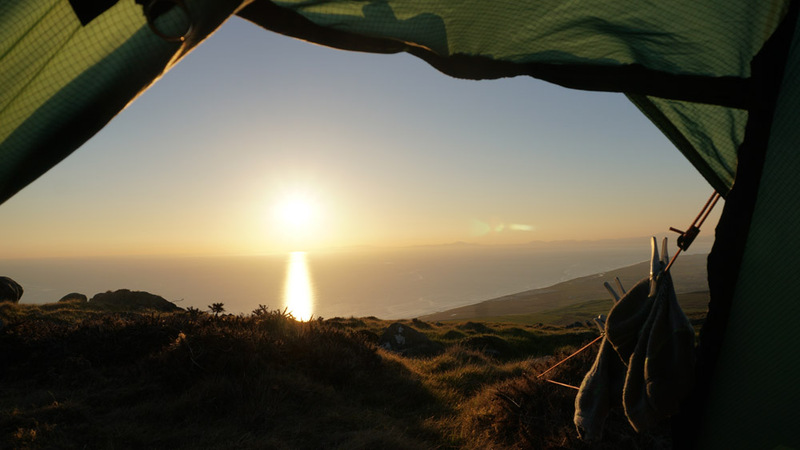 This entry was posted in Backpacking, Camping, Hiking, Multi-Day Walk, Snowdonia, Wild Camping and tagged akto tent, Arc’teryx Bora 2 Boots, backpacking, Cardigan Bay, hiking, Snowdonia. Bookmark the permalink. 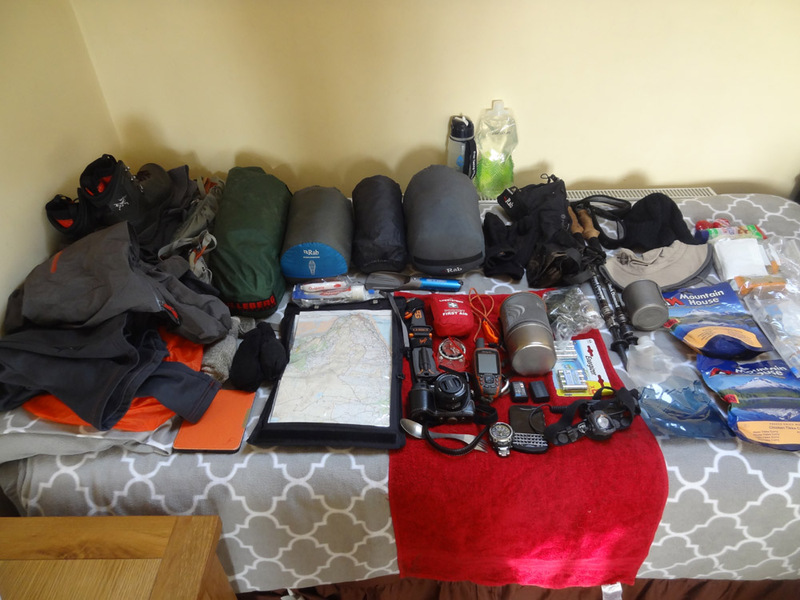 8 Responses to Back from aborted Snowdonia Region 2+1 day Solo Walk! Gosh, that’s really bad. The only time something similar happened to me was with Meindl Borneo boots. After a one hour walk in Epping Forest, I had bad blisters, so I junked the boots. I did have a minor version of your mishap on a Dartmoor walk when I had a pair of Adidas boots which gave me minor blisters because the GTX seemed not to breathe very well, but worse, they were unstable due to the heel construction and I kept falling over! TBH, now, I never go on any multi day walk in boots that I haven’t thoroughly tested with hours of walking. If I ever feel a hot spot, I stop and either tape it or use compeed. That’s good advice and a lesson learned. I won’t b so quick to include new boots on multi-day walk until they have been thoroughly tested. I really like the Solomons. They are exceedingly light and have never given me comfort issues even on the longest of walks. The downside is that they are not very waterproof. So far not had any issues with waterproofness of x ultras. Can get a bit sweaty. Obviously gtx linings have a limited life so they will fail at some stage. 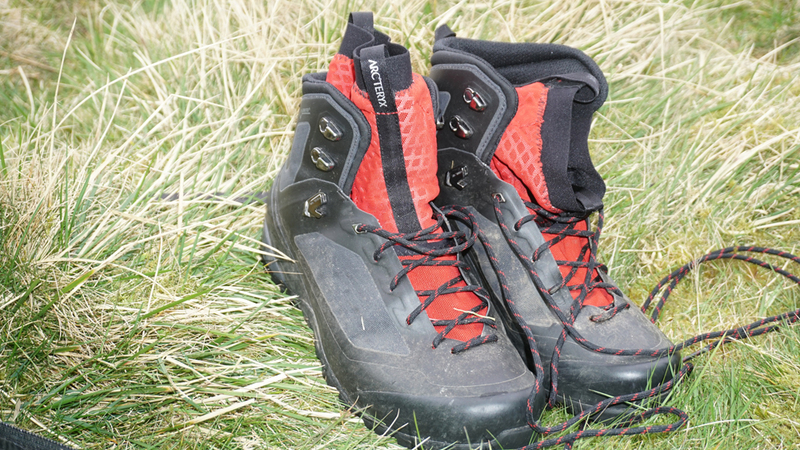 Salomon have a good range of footwear, so there’s quite a lot of choice. I guess Arc’teryx hoped that the inners would add some sort of padding, but I would think the whole inner sock would move about which wouldn’t help. Did your feet get hot at all? I read a couple of reviews that said the Bora 2’s didn’t breath at all and that would just make things worse still. Those blisters look really painful, I can imagine you’re currently limping about quite a bit. Yup still limping! They are in an awkward spot too. Makes driving a literal pain and might prolong the healing process.